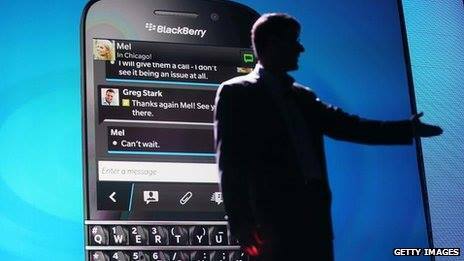 This looks like the beginning of the end for Blackberry . Blackberry was originally a tech market giant, hailed as the least hackable cell phone with the highest security. Used by international leaders and high-powered CEO’s it seems they may become another obsolete piece of machinery. Recently Blackberry has fallen into the big nasty pot of economic crisis. According to BBC News, they are cutting 40% (or more) of their international job force. That equals approximately 4,500 jobs that will be cut creating a loss of almost $100 million dollars. It also anticipates a loss of as much as $995m (£621m) when it reports its second-quarter earnings next week. Shares plummeted 20% after the announcement. In a time when the global economy is already collapsing this looks like it might be the end of Blackberry. Time to switch over to DROID or iPhone? We think so. What are you thoughts?